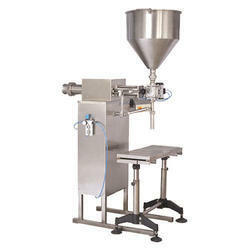 Programmed Batches: Up to 16 Nos. Max. Pouch Length: 1" to 8"
We bring for our clients semi automatic liquid filling machines, which are fabricated as per the international norms and also as per the specifications given by the clients. 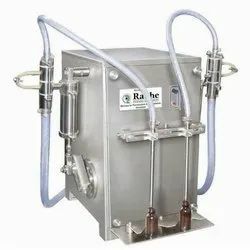 These semi automatic liquid filling machines are known for the sturdy design, compact structure and cost effective functionality.